Breakfast buffet is available at NT$200 per person from 07:00 a.m. to 10:30 a.m. Please make a reservation at least one day before you come. We also offer various kinds of breakfast for you to enjoy here or take out between 07:00 a.m. and 10:30 a.m. Orders will not be taken after 10:20 a.m. Please refer to the <Breakfast Menu price list for more details. II. 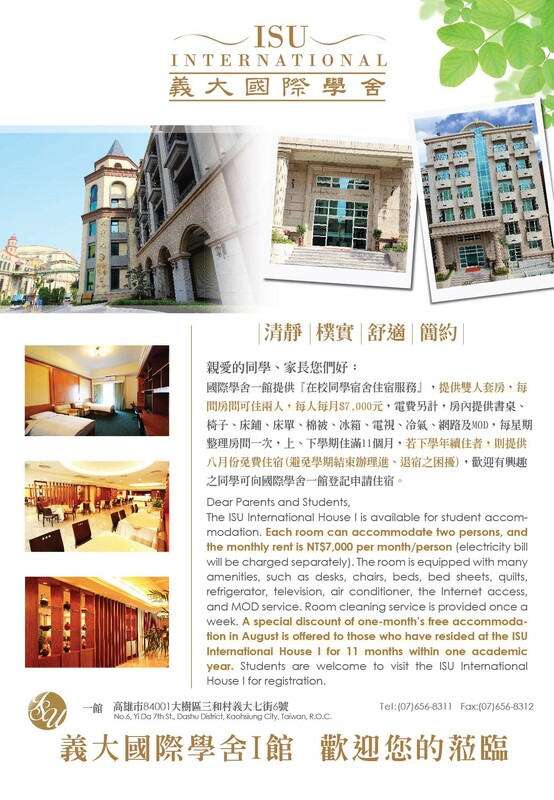 ISU International House I offers special discounts on accommodation. Welcome to stay over here with your family and friends!